If the upcoming race isn't for you, add your email to our list and we'll let you know when the next race is coming! Enter you email to find out when the next race is scheduled! Check out the past races to see what you've been missing! In celebration of a new volcano, we'll keep warm on the inside during the cold northern hemisphere winter! Lots of laps and climbs for this one! Why race in the snow when you can race inside!? This six day, three stage Hammerfest will mix it up with some short, something steep, and something long. 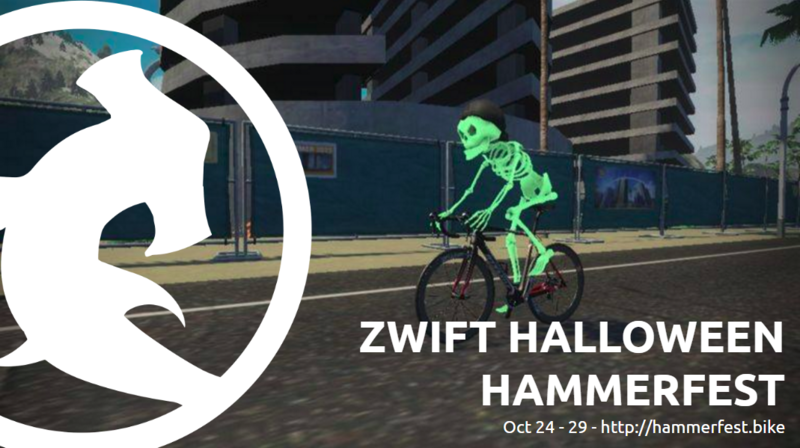 This five day, three stage hammerfest will deliver every course that Zwift has to offer. Mountains on Watopia, a little quick suffering on Richmond, and finishing up with some London TT action! This six day, three stage hammerfest will have you riding as fast as possible. The highlight of the race is stage three's dramatic down hill race from tower to ocean. Queue up the TT bike and your fastest virtual wheels and leave it all on the road. This five day, three stage hammerfest will have you riding as fast as possible. The highlight of the race is stage three's dramatic down hill race from tower to ocean. Queue up the TT bike and your fastest virtual wheels and leave it all on the road. 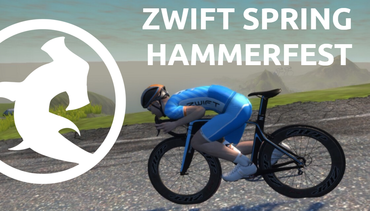 This five day hammerfest will test your climbing abilities on the primary climbs of Zwift. You'll sprint up both sides of the primary mountain, and end on the steepest slopes in the virtual world. Get your climbing wheels and mount up! Hammerfest's first friends and family race to work out the bugs and test the system. This race uses Zwift.com to make it easy to participate in the Boston weather this time of year.